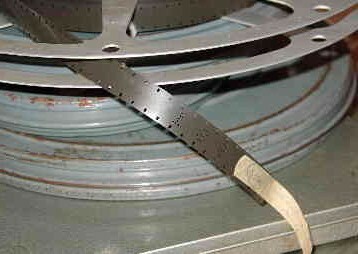 Unlike other film libraries, the Nova Film and Videotape Library’s film archive comprises of mainly amateur cine film - providing a unique account of the social changes which has happened to Britain during the later part of the 20th Century. Although amateur, we are careful to only select material which is of high quality - both technically and filmically - to maintain the standard of the archive. The only exception to this is where the subject matter is deemed to be of outstanding interest. What does the archive film section contain? The main part of our archive film section is devoted to transport. From trams to trains, trolleybuses to buses, motorbikes to motorcars, The Nova Film & Videotape Library has a selection of unique film, often the only footage still believed to be in existence. In most cases, we also have comprehensive notes, where possible, of what was filmed and why - making a total production package of film material and research. From Blackpool to London, Doncaster to Edinburgh, The Nova Film and Videotape Library contains a large archive of footage from many towns & cities in the UK and across the world. Shots showing just exactly how are towns and cities looked from the 40’s onwards - a unique view of how social politics and urban planning have change the areas where we live. Britain has seen tremendous changes in the latter part of the 20th Century, and the Nova library has a great deal of archive film illustrating some of changes. The way we worked, the way we shopped, the way we holidayed - all areas of everyday life from the 40’s onwards documented by the people most qualified to do so - the people themselves. The majority of Nova’s archive film has already been telecined, and all material has been cleared for use within all media - current and in the future. We are currently undertaking a complex programme of logging all material and entering everything in a database - of which we will make available to production companies via the web. In the meantime, please contact Gareth Atherton at Nova Worldwide Sales on 01302 410062, Skype Us or e-mail him here for any further information you may require.